When Dianne Fuller went looking for people to support The Fuller Center for Housing of Macon’s Flights of Fancy Birdhouse Sale & Auction, among the many people she turned to for help was Dr. Barry Shealy, who teaches mathematics and is assistant headmaster at Macon’s First Presbyterian Day School. Fuller wanted to know if Shealy could direct her to any students who might be interested in helping to build birdhouses. She counted on the right guy because Shealy was able to give her the name of a student without hesitation: his son, Nicholas. 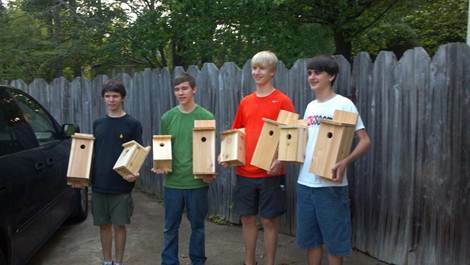 A 14-year-old eighth-grader at FPD, Nicholas was looking for an Eagle Scout project. And who better to help the project take flight than someone looking to become an Eagle Scout? OK, so eagles live in nests, not birdhouses, but birds of a feather do flock together. And in The Fuller Center for Housing of Macon, Nicholas found a like-minded group that shares his goal of helping the people of Macon. Nicholas recruited four other scouts from Troop 170 based at Macon’s Forest Hills United Methodist Church to help him build 30 birdhouses that will be among at least 250 for sale or up for bids on April 28 at the Georgia Sports Hall of Fame in Macon. And he’s not done. The Flights of Fancy Birdhouse Sale & Auction is April 28 at the Georgia Sports Hall of Fame, 301 Cherry Street, in downtown Macon. The sale and silent auction is 11 a.m.-5 p.m. with some birdhouses available for as little as $5. 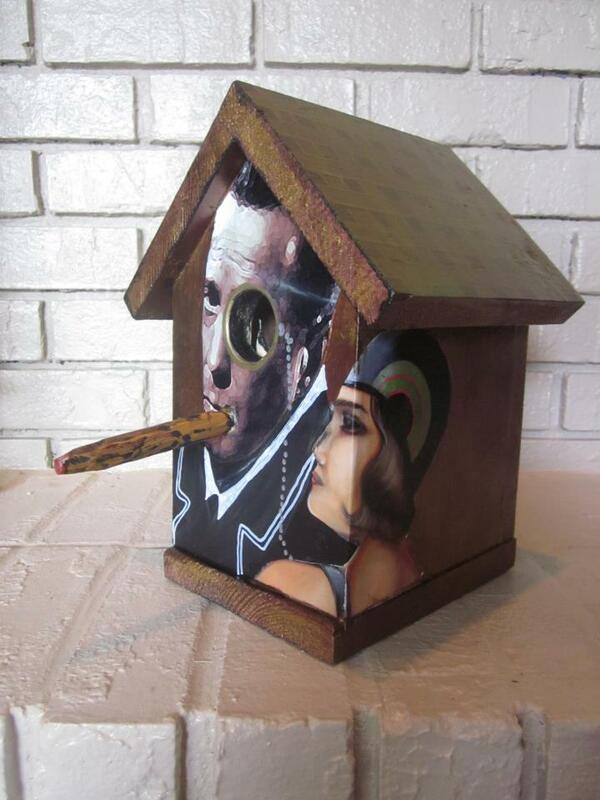 At 6 p.m., there will be a live auction featuring many of the birdhouses decorated by dozens of prominent artists, including Mark Ballard, Roger and Sherrie Jamison, Martha Tisdale, Mark Durham, MJ Venrick, Margie Stephens, Eugenia Simmons, Linda Samet, Norman Race, Wimberly Rader, Judy Parker, Bonnie McCarty, Tom McMahan, Judy Lamb, Tracy Huyck, June Ewing, Buzz Coran, Dr. Charlie Burton and more — including internationally renowned Georgia native Jeff Williams, who has had his work displayed at the Louvre in Paris and was the official artist of the 2009 Kentucky Derby. Willingham Sash and Door, Marshall Lumber and the Lowe’s story on Zebulon Road donated wood for the birdhouses, and the ACE Hardware locations on Riverside Drive and Forsyth/Wesleyan are serving as dropoff locations for decorated birdhouses. In addition to many individuals and the scouts from Troop 170, students who have created birdhouses hail from schools including Southwest High, Central High, Rutland High, Stratford Adademy, Vineville Academy, Sonny Carter Elementary, the Mentors Project of Bibb County Schools and Heritage Elementary, where Fuller once taught. Visit and like The Fuller Center of Housing of Macon’s Facebook page for FCH Macon updates and news!